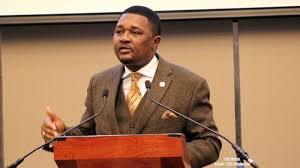 As the new dispensation’s anti-corruption dragnet spreads, former Foreign Affairs Minister Walter Mzembi and erstwhile Energy and Power Development Minister Samuel Undenge were yesterday arrested by the Zimbabwe Anti-Corruption Commission (ZACC) on charges of abuse of office. The pair was detained at Marlborough Police Station in Harare and will appear in court today. ZACC Commissioner in charge of investigations Goodson Nguni confirmed the arrests and said the pair will appear at the Harare Magistrates’ Court today. He however, declined to provide further details. Mzembi’s lawyer Mr Job Sikhala said his client was facing allegations of donating to churches four television sets bought by the Government for the promotion of the World Cup in 2010. “My client was summoned to the ZACC offices in the morning. However, I was occupied at the Harare Magistrates’ Court and I picked him in the afternoon to go to ZACC offices in Avondale. He is charged with contravening section 174 of the Criminal Codification and Reform Act Chapter 9:23, which is abuse of office as a public figure,” said Mr Sikhala. Mr Sikhala confirmed that his client would appeared in court today. Undenge’s lawyer Mr Alec Muchadehama did not answer his mobile phone despite several calls made to him. Sources close to investigations also said zanu-pf Highfield legislator Psychology Maziwisa and television personality Oscar Pambuka, were also facing arrest. Meanwhile, Renaissance Financial Holdings Limited director Mr Patterson Timba has been arrested over a death that occurred at Tolrose Gold Mine in Kadoma.